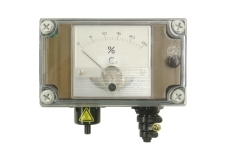 Bionics offers simple, compact yet complete toxic gas detecting systems with the TX-F/E/D transmitter series. The Bionics toxic gas sensors, to be used in combination with the TX-F/E/D gas transmitters, are gas-specific, stable and available for a wide range of different gases. Bionics Instrument is famous for the innovations it introduces in its gas monitoring systems. One of their best known products is the TX-1100FK Oxygen deficiency detector. Where standard Oxygen sensors require replacement every 18-24 month, the Bionics TX-1100FK can last for approx 5 years in normal operation conditions. 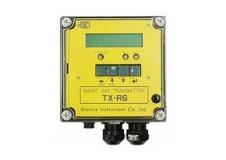 The STX-NR-E/D Smart Gas Transmitter is a completely self-contained gas detection unit suitable for a wide range of hazardous gases. 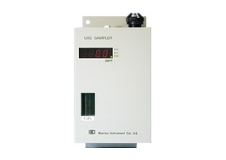 The unit consists of a sensitive and specific electrochemical gas sensor and combination transmitter with an extensive signal output capability. 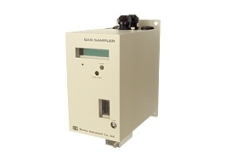 The Bionics SH-1003HT Gas Detectors are designed to set new standards in toxic gas monitoring and detection. 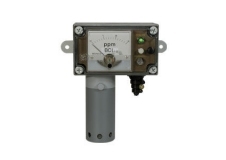 These well-proven continuous extractive detection systems significantly reduce the labour and downtime commonly associated with gas detector maintenance and service. 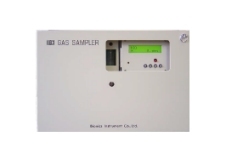 The Bionics SH-1003PA Gas Detectors is simular to the SH-1003HT however has been added with user-programmable dual alarms relays, built-in alarm relays as well as audio and visual alarm indicators. The new Bionics SH-4000 Series Gas Detectors is a comprehensive fixed point gas detector that meets the diverse requirements for gas detections industries throughout the world. The fail safe sensor technology is immune to poisoning, no damage by over-gassing and does not need oxygen to work.